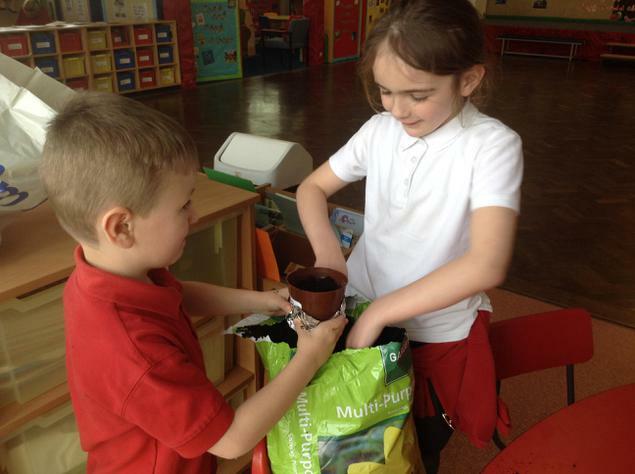 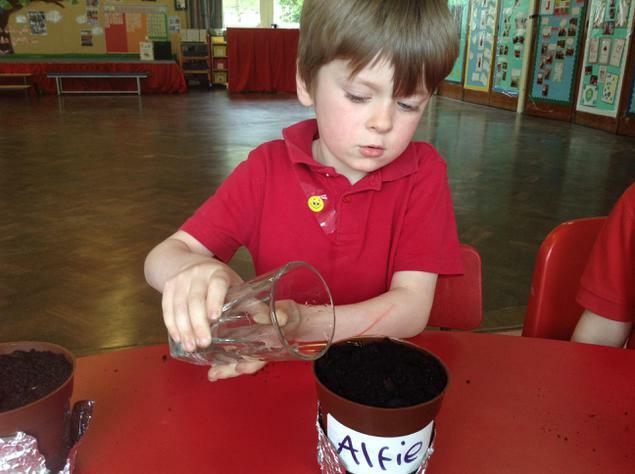 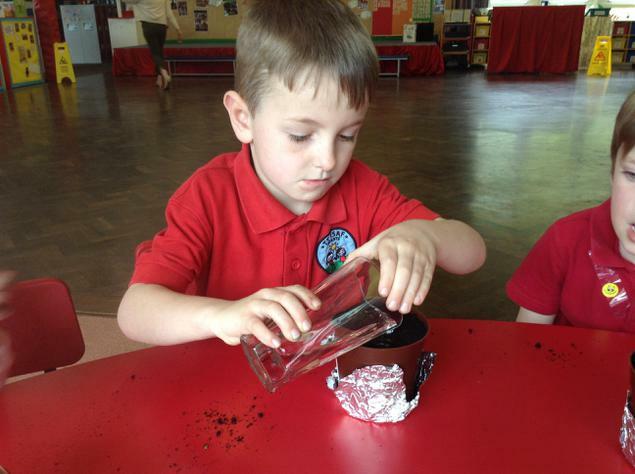 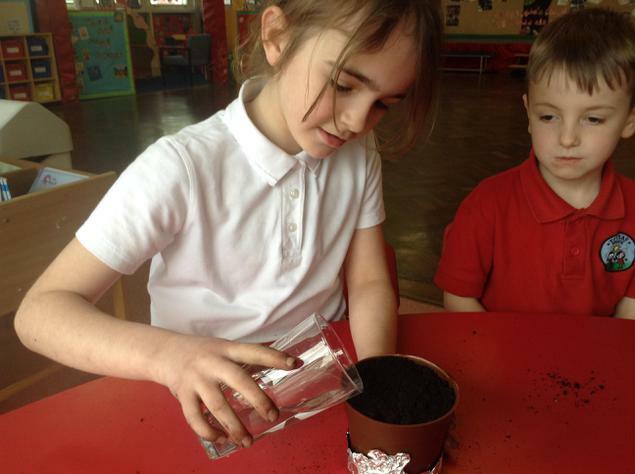 This week we have been planting sunflower seeds. 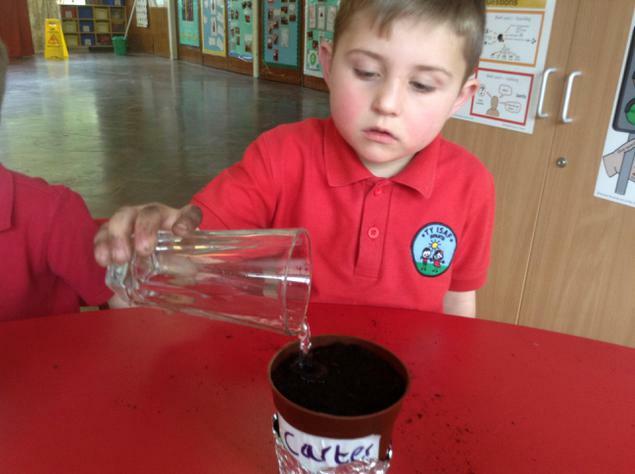 We hope that our sunflowers will grow and will attract bees. 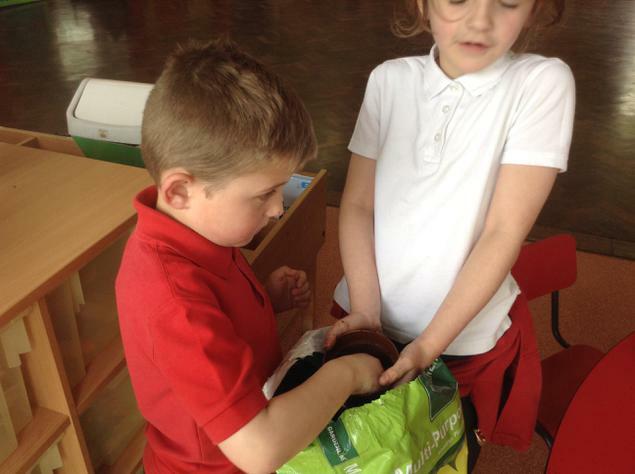 The bees will get attracted to the bright yellow head and will be able to get their food. 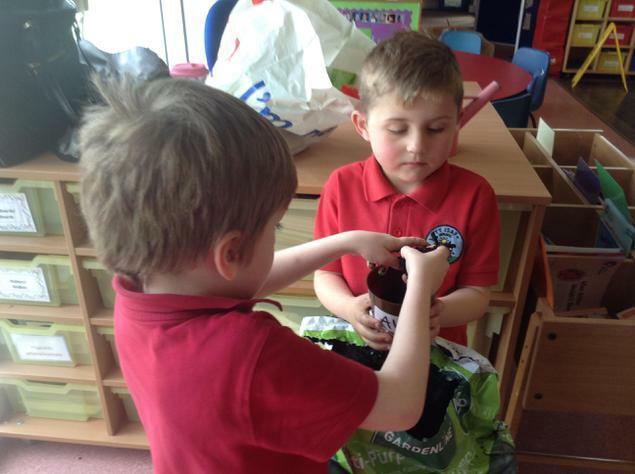 They will take their food back to their hive and will use it to make honey. 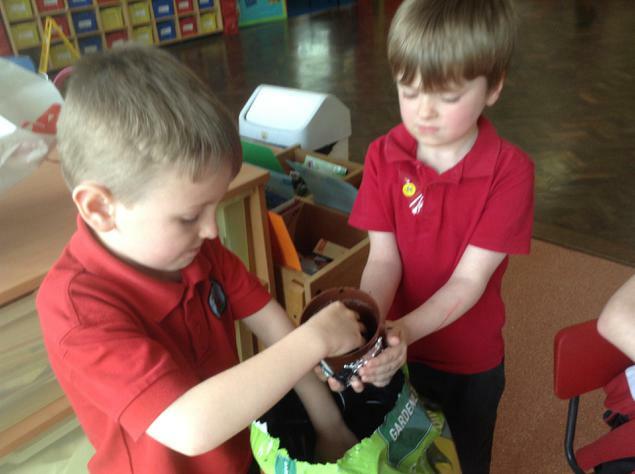 We hope to see lots of bees in our gardens.